The first draft of the prequel is now complete. The final word count was about 31k. And today I managed over 6k words which is rather more than I intended to do in one day but when the mood strikes you, you have to go with it. Also decided on a definitive title for the book. 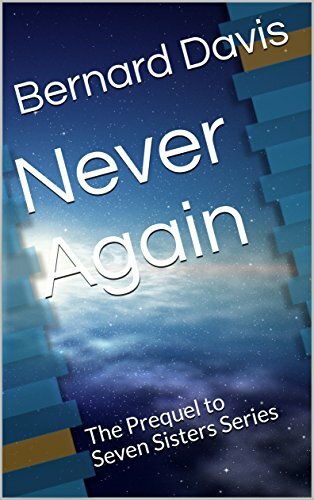 it will be named ‘Never Again.’ Which is a quote from one of the characters, not a plea after writing this one. A prequel or a saga? So today I managed around 5k words. I was out this evening or it might have been more! The big battle scene isn’t quite as big. But I left an opening for a sequel to the prequel! So I guess that will have to do. The first draft should be done tomorrow or the day after, and then it’s editing and re-writing and prep for publishing. Not sure if it’ll be only ePub or paperback. Plus of course I need a name for it. Author Beady_BooksPosted on February 11, 2018 February 12, 2018 Categories Science FictionLeave a comment on A prequel or a saga? Well my first thought was about 15k words as a prequel. I reached that with ‘just the big battle scene to craft’ so I extended the expectation to 20k words. I just passed 20k this evening and still feel that over half the scene is still to come. Maybe 25-30k words in the first draft. I will definately hack some (lots) of the dross out of the earlier parts, although probably not the very beginning, which I quite like. Just got Hemingway software today. It claims to simplify and streamline your text. It spots sections that are difficult to understand, unneeded words, etc. looks like a useful piece of software. I ran the first draft very quickly through it this afternoon and was more than a little embarrassed at how much it thought was wrong. In my defence, this was just a very rough first draft. Amazon has just delivered the first ‘good’ copy of Electra. It’s properly formatted now and looks much better than the last two. Not wanting to be thought of as a one trick pony. There will be books in other categories than Sc-Fi. I have one in mind it’s set in the current world but with some weird characters and even weirder incidents. I’m only just getting started on the subject, so it doesn’t even have a title yet. But it will. With a working title of ‘Beginnings’ (original or what?) the prequel to Electra is currently sitting at 8500 words. I’m aiming for a total of about 15-20000 words. to put that into context, Electra was 88000, and in a paperback edition runs to around 300 pages, so Beginnings will be about a bit less than a quarter of that. It’s intended to be a teaser for the series and an explanation of the origins of the Seven Sisters rather than a novel in its own right. And just for the record, the fact that there are seven sisters doesn’t mean that there will be seven books in the series. I’m not sure yet how many there will be but some of the books will focus on more than one sister. My first book. 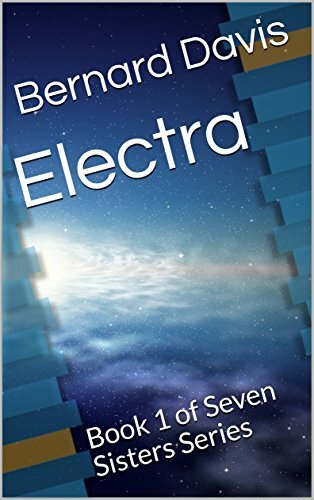 Electra: Book 1 of Seven Sisters Series. 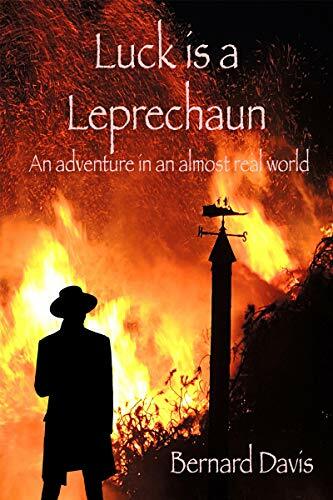 has just been published on Amazon and Kindle you can view it by following this link. if you decide to read the book, please leave a review. Good or bad I can get something from it and I hope, improve for the next one.